For all those who probably don't know what GB WhatsApp is, its actually a modded version of the official WhatsApp application. With the GB WhatsApp, you can run more than one WhatsApp accounts on a single device. Although the previous versions of GB WhatsApp let's you run two different WhatsApp accounts, but with this latest version, you can run up to 3 accounts. Aside letting you run multiple accounts, the GB WhatsApp also has some other amazing features which you will never find on the official WhatsApp application. 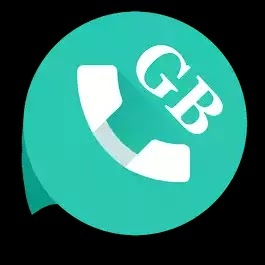 With the GB WhatsApp you can send up to 90 images at a go contrary to WhatsApp 10 images maximum, you can change the colour of your WhatsApp icon to your most preferred choice, you can use different color variants to customize your chats, conversations and even call. You can check the other features below. ==> ability to change the app icon and notifications and many many other features .. This will replace your official WhatsApp application. This particular app will act as your second whatsapp without replacing the 1st one. This will act as your third whatsapp without replacing either the first or the second whatsapp application on your phone.